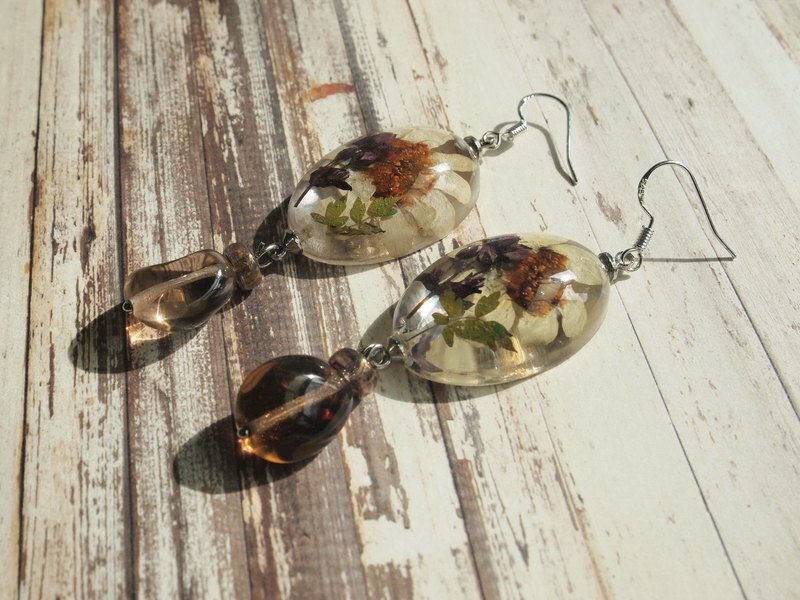 Materials: Pressed flowers, Resin,Beads, 925 sterling silver Made in Taiwan A beautiful pair of real flower earrings.These contemporary earrings feature pressed real flowers that are encased in resin. Blue Hydrangea with white Lace flowers. They are hanging on 925 sterling silver ear hook.